Welcome to 1437 Sheffield Street in the Heart of Manchester. This all brick historic renovation exemplifies superb quality & integrity. Grand entry with custom plaster work, marble floor & panels. Formal living room & dining room with decorative gas fireplaces & tin ceilings. Custom eat-in kitchen with open brick hearth, six burner cook top, stainless steel appliances inc double ovens. Handsome white cabinetry, granite, pantry. Four bedrooms inc master en suite. Master bath includes custom shower with Venetian plaster, rope lighting, chandelier, double bowl vanity, travertine tile. Washer/dryer. All original fireplaces maintained and upgraded new gas connections. Walls re-plastered. New HVAC. New plumbing & electric updated. New roof.Stained glass doors, windows, transoms accented throughout home. Porch/deck off kitchen. Courtyard. Landscaped with perennials. Perfect for two off-street parking or add garage. Manchester is Pittsburgh’s hottest new place to be! 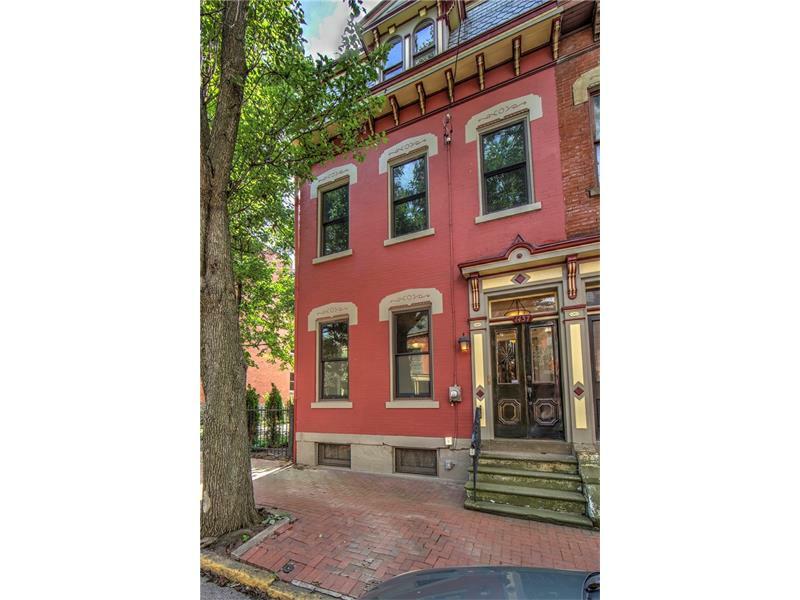 Minutes to Downtown Pittsburgh.